Happy Kitchen Sink Stamps Monday thanks for stopping by today! I haven't had much creative time in my studio lately, as we've been busy planting flowers, and getting the yard and pool ready for summer! Last year I planted Hydrangea's for the first time, and am excited to see them thriving in my front landscaping. Now if those darn bunnies would just leave my flowers alone, I'd be happy! 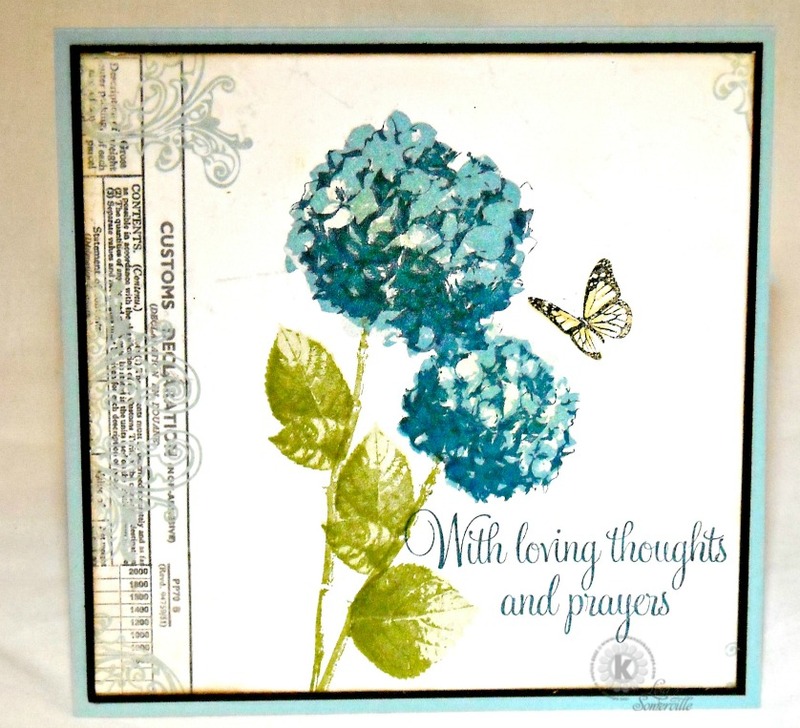 I recently purchased the Renew 6" x 6" paper pad from Authentique and thought it would look wonderful paired up with Kitchen Sink Stamps 3 Step Hydrangea. 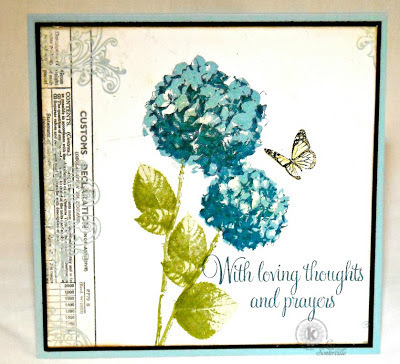 The sentiment is from Kitchen Sink Stamps Words of Comfort and Joy set, the stem for the Hydrangea is from the Multi Step Lilacs set. Omg, LOVE THIS, Lisa! I'm definitely trying your color recipe for hydrangea's! Gorgeous, my friend!! That paper does match perfectly with that stamp. I'm sure your yard looks gorgeous...I was not gifted with a green thumb-so rarely plant anything during the summer. What an absolute beauty of a card - the image is gorgeous, and your subtle treatment, with that fabulous texty border, is wonderful! Wow! This is fantastic! I LOVE the colors. So pretty!